After over a month apart with Caitlin racing on the World Cup and myself on the SuperTour/NorAm it is hard to take the smile off of my face now that I am back with this girl. In the summer of 2006 I loaded up my 1982 Volvo station wagon with everything I owned in Alaska and drove to my new home in the northern Wisconsin. My brother had told me about this awesome race he had done in the Cable-Hayward area and other than that I didn't know much. It turned out to be one of the best decisions in my life. Writing this blog from Cresthill Resort I am basically at home. Scott and Kay Wilson stepped up and offered Garrott Kuzzy and me a home at Cresthill Resort when our original plans . You couldn't ask for a better year round home base with the Birkie trail just down the road and fantastic roller skiing and biking from the door and the refreshing lake to greet you upon return. The proof is in the fact that both residents of Cabin A are now both Olympians. Although it took me an additional quad to catch up to Kuzzy (2010). This trip is the first time I have been back in Hayward since Sochi and it is fun to get to share the stories and experience of the Olympics in person with the many people throughout the community who helped make my Olympic dream a reality. The majority of my professional career has been spent training from Cresthill and around the Hayward-Cable area. 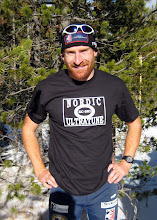 I could argue that I know the Birkie trail better than any other current elite racer. It is great to train again on the trail and to see the many changes and improvements that have been made over the years. One change that I am not so sure about is that Scott and Kay's granddaughter Mary is no longer a little kid. It has been fun to watch her grow up over the last 8 years. This year is the first Christmas we have spent with Catlin's family and it was great to enjoy the cabins at Cresthill Resort with her Mom, Dave, and Grandma. After her Mom's two strokes she is doing remarkably well and the chance to be in the cabin overlooking the lake had a really positive effect on her. Dave cooked us up a fantastic Christmas feast of tenderloin and Grandma is just impressive cruising around on the snow and ice at age 85. The NorAm races in Whistler were moved to Soverign Lake, BC last weekend and that worked out well for me. I really enjoy racing at Soverign and is just a 4.5 hour drive from the Methow. My Mom and Dad were able to drive up and help out at the race. Chad and Alieta also came to help as well. They left Seattle and drove through the middle of the night, arriving at 5am in the morning. I race well with the family at the races and the added support paid off with Kris and I going 1-2 in the 30km Freestyle. I am often asked, "What is Team Gregg.?" Yes, Caitlin and I compete as Team Gregg, but honestly Team Gregg is the huge team of people behind us that make this ski dream possible. Team Gregg is a family, but not everyone's last name is Gregg. Tara and Simon came up to support me at the Rossland NorAM race. I feel very fortunate to have family members and supporters and so many of the races. Next up is the US National Championships in Houghton, MI with the first race on Jan 4.